Unfortunately, accidents can happen at any time. The Rose City Ford Collision Team understands the stresses one can endure when an accident occurs. Our mission is to treat our customers with honesty, integrity and genuine respect all while providing superior workmanship and on-time delivery. With more than 16,000 square feet of state-of-the-art repair technology, you can be sure that both you and your vehicle are receiving the best service this industry offers. Technically sophisticated, yet environmentally friendly, our Body Shop Professionals have the training and expertise to repair your vehicle’s damage right the first time. Scratches, Dents, Door Dings etc. 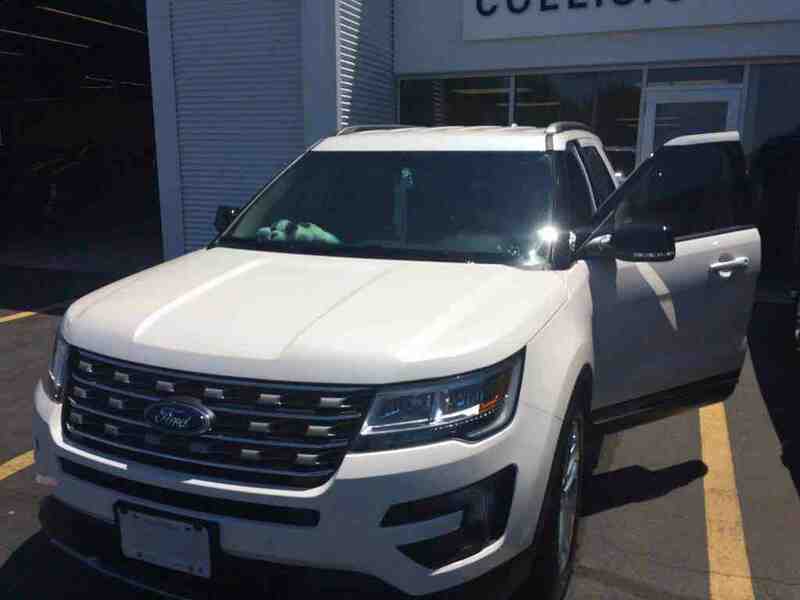 With the innovation of aluminum alloy use into today’s vehicles, Rose City Ford’s Collision Center is the market leader in providing premium aluminum repair solutions. Aluminum alloy can be quite different to repair than that of traditional steel. One of the biggest challenges is cross-contamination of the aluminum with steel. When this happens, the reaction between the two metals allows for galvanic corrosion. To prevent this we’ve invested in a dedicated aluminum repair center as well as aluminum auto body technician training with specialized tools and equipment. We’re proud to be the EXCLUSIVE Ford Certified Aluminum Repair Center from Windsor-Essex to London, Ontario. The Rose City Ford Collision Centre is driven to be an environmentally responsible facility. 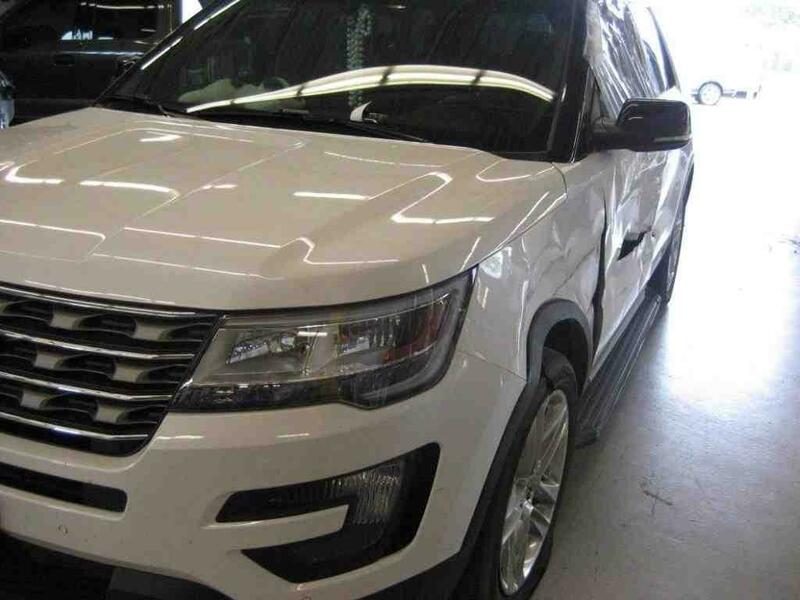 Because we care about our environment and the health of our employees we only use PPG waterborne automotive finishes on vehicles restored in our facility. Most importantly when your vehicle is refinished using PPG coatings it is guaranteed for as long as you own it. We start with excellence in colour matching and refinish each vehicle to perfection….while being kind to our world. Rose City Ford Collision Centre meets and exceeds the highest level of standards in our industry. Our highly skilled licensed professionals are craftsmen who take pride in their work and continually upgrade their education and training to ensure the highest quality repairs. Membership in professional trade associations and the Better Business Bureau indicate that our facility is keeping up with the latest repair techniques and procedures. We make estimating and insurance approvals anxiety-free. You can relax knowing Rose City Ford Collision Centre will handle it all. For fast approvals we will work with your insurance company directly by transmitting images and information digitally. We repa﻿﻿﻿﻿﻿﻿i﻿﻿﻿﻿﻿﻿r all makes and models and work with an extensive network of insurance companies. Included in our service is a complimentary estimate and we will assist you with the details of your insurance claim. If transportation is needed following your accident; we can provide you with hassle free car rental through Enterprise Car Rental. At Rose City Ford Collision Centre we stand behind our workmanship with a Limited Lifetime Warranty. We guarantee that all repairs carried out on your vehicle will meet, or exceed, both industry standards and all original manufacturer’s warranties. ﻿REMINDER:﻿ All accidents exceeding $1000 in combined damage to vehicles must be reported to the Police or a Collision Reporting Centre within 24 hours. As stated in the Ontario Auto Insurance Consumer’s Bill of Rights, Section 13: It is your right to choose where your vehicle is repaired. This is the law! For after-hours service, we have a convenient drop box and parking area for your vehicle. We also provide car window tinting, paint-less dent removal, auto body rust repair and wheel restoration. Our skilled auto body team is ready to make your vehicle shine! Everything you need under one roof. Whether it be for a regular scheduled maintenance, or a collision mechanical repair, our Service Department promises to fix it right, the first time. Our factory-trained Service Advisors and Technicians continually aim to achieve complete customer satisfaction with everything they do. Our service team will ensure all maintenance and repairs are done using only approved and/or genuine manufacturer parts while making sure your factory warranty is protected. Be sure to get to know your Rose City Ford service team. We’re here for you and we look forward to being of “Service” to you! See below images featuring before and after shots of some of our collision repair work. Remember, when working with your insurance company, make sure to specify genuine Ford and Motorcraft quality parts for your vehicle. Feel free to utilize our Drive In Appraisal service. If you have any questions about our services, we welcome your inquiries via email or call our Body Shop at 519-948-7800. Contact us today!